I generally eat pretty healthy stuff. Spinach and strawberry slushies for breakfast, brussel sprouts by the pound, and whatever else is trendy that I I’ll jump on the bandwagon for. It’s basically “supporting local” because until 1970 they were only available in Ohio and Pennsylvania, and to this day all Klondike bars are created in Mansfield, Ohio. Kanye loves them…And although Yeezus was recently STRONGLY petitioned to be removed from Glastonbury’s 2015 lineup… his support of the chocolatey goodness is enough for me. If you were wondering what I would do for one? It might be a more personal conversation. 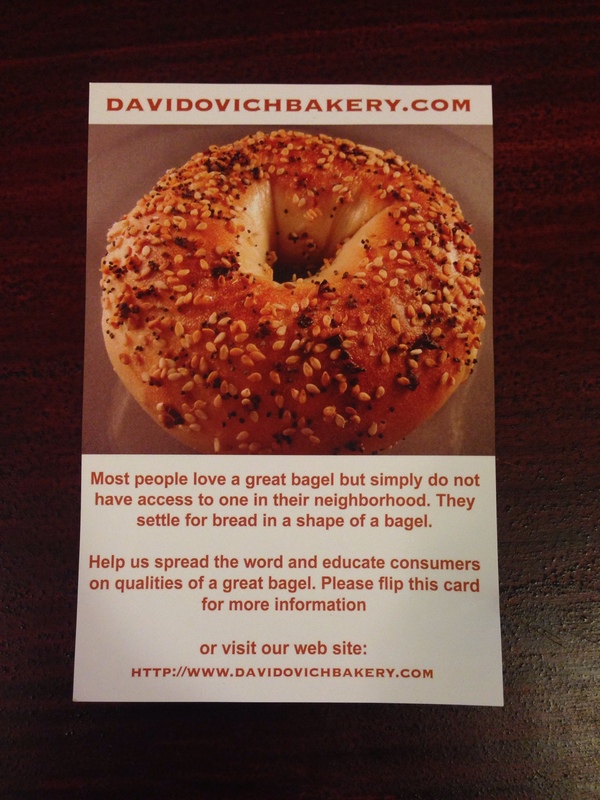 I might be what you call a bagel enthusiast, if you use that term often, I tend to prefer a schmear schmoozer. However you look at it, I am dangerously obsessed with bagels. I also struggle saying the word, so how that plays out is something I am sure God laughs at more often than not. That being said, moving to New York seemed like the right place for me. I left the land of croissants, which are undeniably equally delicious but lacking the dips, delights, and dunks I look for as entertainment when I am nourishing myself, for a place that praised a food that had a built in hanger. Brilliant, people, brilliant. All was good and well, I was enjoying sesame bagels with chive spread; everything with jalapeno; cinnamon raisin with almond; with lox, with coffee, when I was hungover, when I had just run, when I was about to run, when I was about to tell myself it was okay to skip my run. I tell ya, I was diggin it. THEN, my roommate Pat brought me this flyer he found on our door and the world shifted. What I have been eating was just bread with a hole in it. I had been uneducated on the qualities of a great bagel and I was devastated. 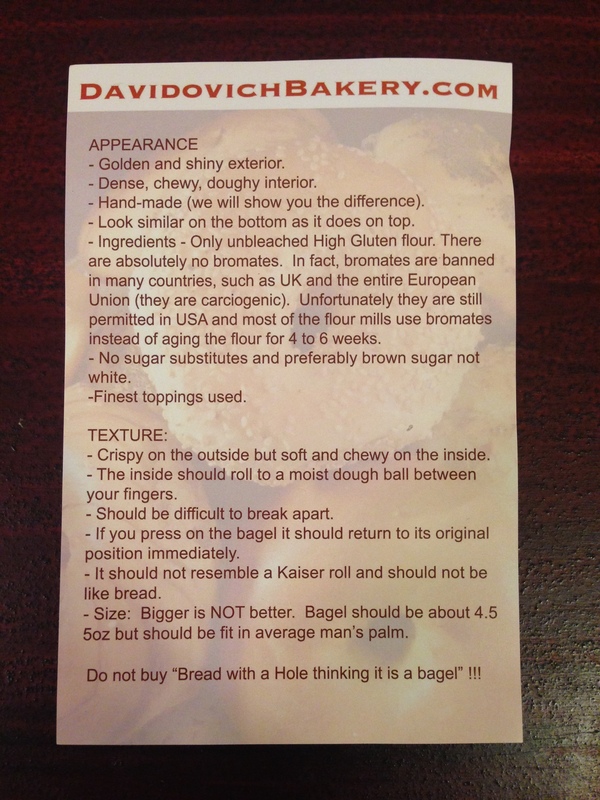 So from here on out, I will follow the directions as stated here, and if my bagel doesn’t push back, I’m not eating it.